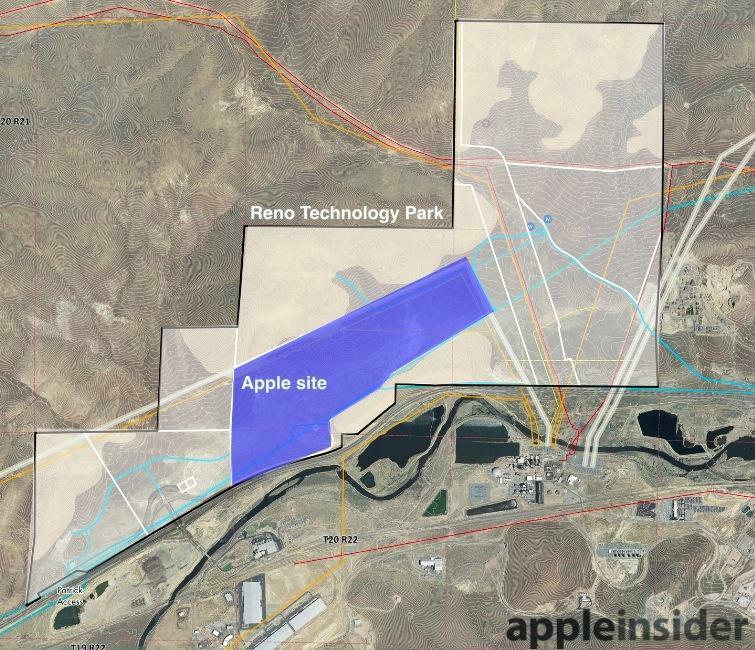 Apple's newest data center, located within the Reno Technology Park now under development by Unique Infrastructure Group, takes advantage of several favorable elements of the site's location. 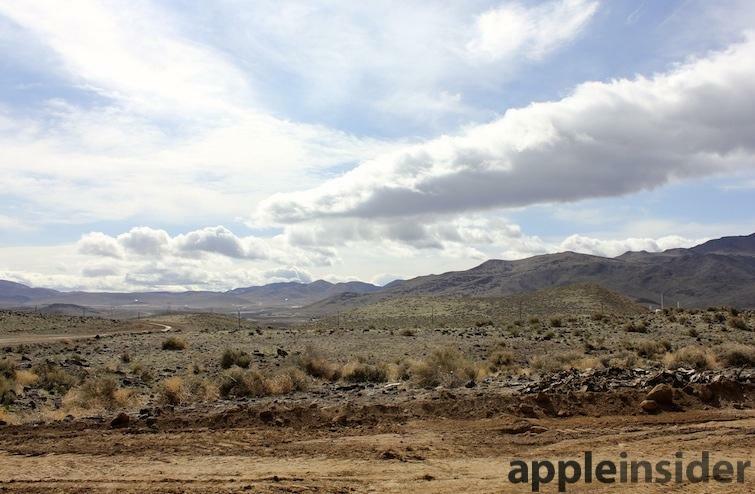 Despite being located next to the Truckee River (shown above, across the freeway from the site) however, Apple's new iCloud facility needs a source of clean, reliable water. Instead of processing river water, it needs to pull a significant amount of water from underground aquifers. Despite appearing to be bone dry, the site is actually supplied with underground sources that flow in from the north, but are held from running into the river by impermeable layers of rock. This provides plenty of water that meets the data center's high standards, ranging from low particulate counts to a balanced pH. 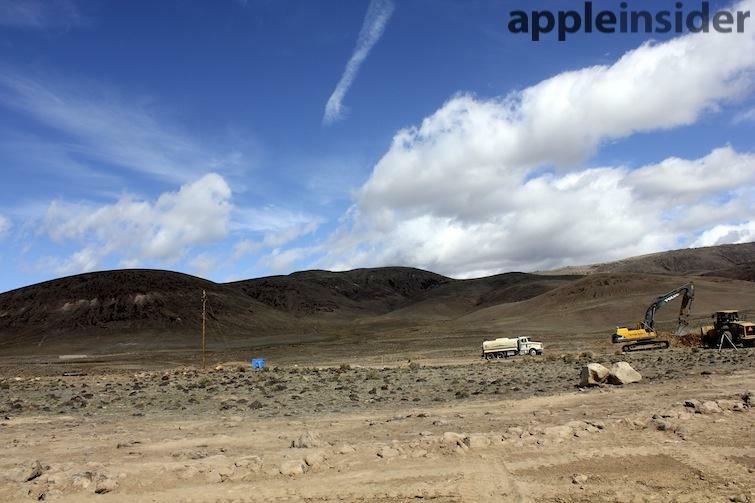 Because the site lies just under a hill (above), it's also possible to build water tanks on the side of the slope to hold a supply that is then gravity fed to the facility, reducing the need to build water towers or additional pumping plants. 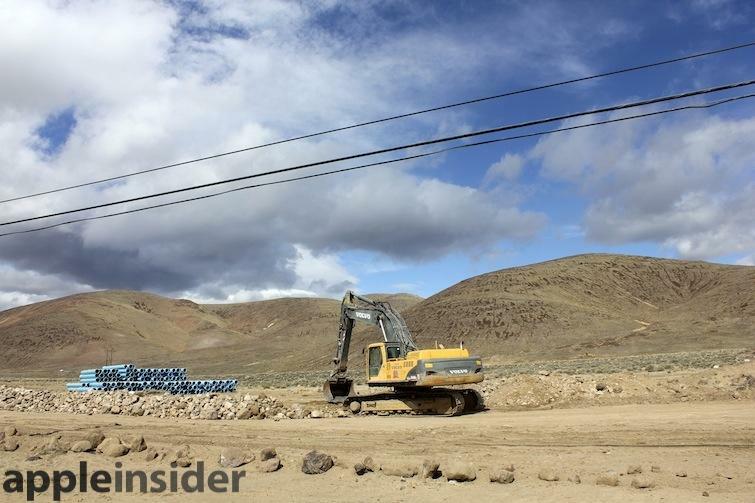 Water is so critical to the site's performance that parallel, redundant supply pipes are being laid, running from the well sources through massive valves (being buried, above) to the site itself. Stacks of dozens of pipes sit waiting for installation (below). 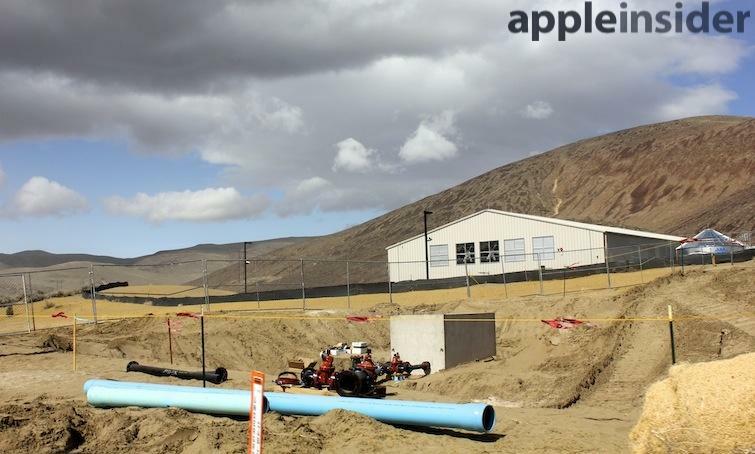 In front of the initial pilot data center facility Apple has already set up, you can see another set of large valves controlling the flow between different areas of the project (below, next to one of the large supply pipes being laid across the site).